Do a virus and a malware scan right now. Our pick for the best free scanner and protection is Bitdefender Free Edition. It has fast scans, a lightweight footprint, and excellent virus protection. Our pick for the paid antivirus editions is Webroot. 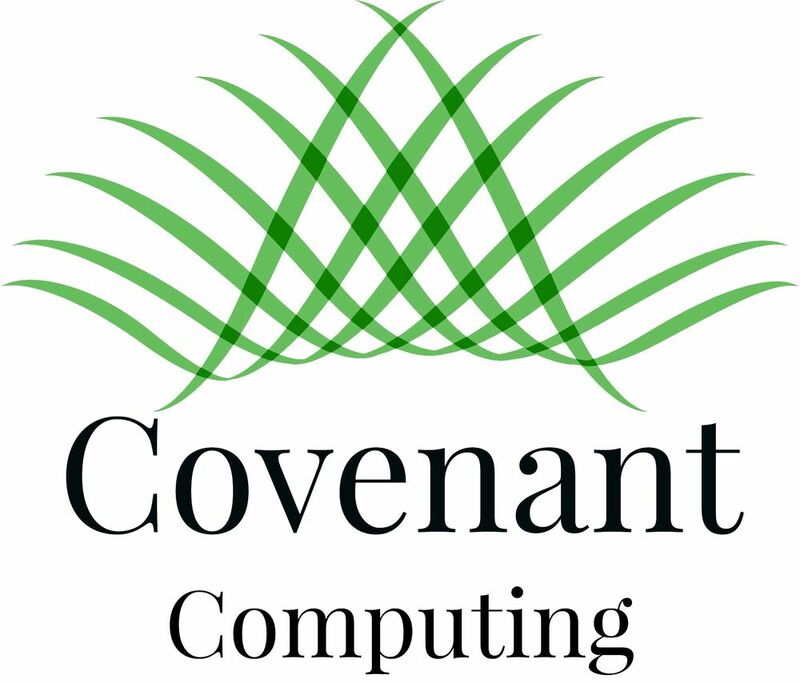 Covenant Computing is a Webroot vendor. That is because we carefully curate our selections for our customers and this product has proven to be top notch. Extra programs or toolbars you did not install. Many programs download with others, and this is normal, but sometimes these programs are not the programs you installed. Did you remove them, but they keep coming back? That is not uncommon. Sometimes it takes a full virus scan to remove these programs. Super slow computer performance. Check your system resource usage by right clicking your taskbar and selecting “Task Manager” from the choices. Once the Task Manager starts, click on the performance tab to see where your system resources are being used. If any of these stats stays above 75% for an unusual amount of time (hours), it is probably time to go get it checked out. Your friends are receiving emails that you never sent. This is a sure sign that your computer has been compromised. Turn it off and call us. Ransom messages if you are getting messages telling your that your files are encrypted and you have to pay money to get them back, turn off your computer, and call us. We may be able to save your data or help you get back on your feet. New home pages or search engines filtering everything. This is a classic sign of malware and needs to be removed using a malware scanner. Passwords no longer working. This one can leave you frustrated for sure. Use the password recovery process to recover your account which requires you to change it. Then, do a scan on your computer for malware and viruses. Then change your account passwords for your key accounts: email, financials, social media. Change your passwords. Yes, all of them, especially your financial institutions, email, and social networking accounts. These are the most targeted. It is a pain, but it is worth it. We recommend using a password encrypting app called LastPass. This gem of a program can be used on your PC, phone, or tablet to encrypt all of your passwords. It can be accessed offline, you only have to remember one password, and all for free. Wipe your computer completely and reinstall your operating system. You probably want to get a professional for this because they will save a copy of your hard drive and data ahead of time. Schedule an appointment with us, and we will be happy to help. Tell your social media contacts, email contacts, and family you suspect you have been hacked. They need to know too so they can avoid any attempts to gain information by someone using your name. Check your recovery information in your accounts. Go back to your key accounts and be sure they don’t have someone else’s recovery email or phone number in them. It is a trick they use to change your account password again in order to get access. Password management. We recommend using a password encrypting app called LastPass. This gem of a program can be used on your PC, phone, or tablet to encrypt all of your passwords. It can be accessed offline, you only have to remember one password, and all for free. Antivirus and Web Protection. Covenant Computing has several options, but the ones we recommend are Webroot and Bitdefender. DNS Filtering. Again, we have several options we recommend. OpenDNS is the best way to protect your family/home/office against unwanted content and against malware and scareware. Use VPN. If you don’t have a VPN set up on your home network, use ExpressVPN. They have extremely fast servers and they are geo located, so wherever you are going, they are probably already in the area. Don’t follow links in emails to key accounts. A favorite trick of hackers is to email you something that looks like a legitimate email but it includes links to their own web sites in an effort to get you to enter password information. Don’t do it! Use your own bookmarks to the sites you use and don’t use the links in the email. Well, this was a lot to absorb. We hope it helps you, and if you feel like you need some assistance, contact us, and we will be happy to help you.